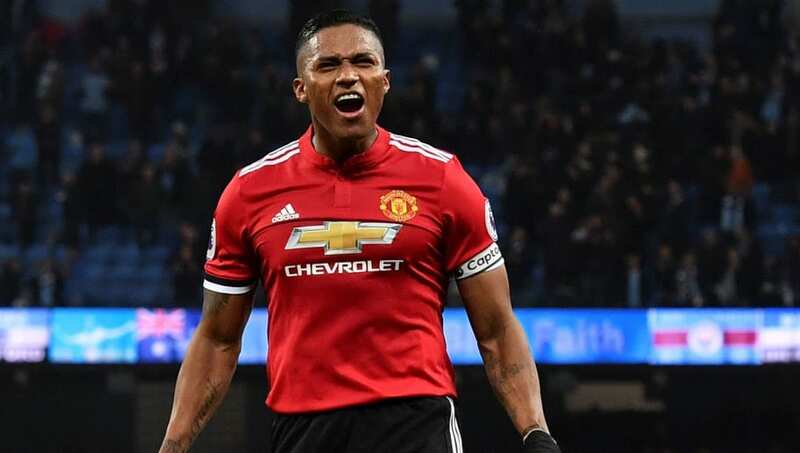 ​Manchester United defender Antonio Valencia has dropped a huge hint about his future after he retweeted a post on Twitter which suggested he had secured a summer move to Major League Soccer side DC United. The 33-year-old will be out of contract at the end of the season, and the will not sign an extension the Red Devils - meaning he is now free to discuss a contract with any overseas side. The tweet which ​Valencia retweeted claims that 33-year-old has agreed a two-year deal with DC United, with the ​Manchester Evening News capturing the screenshots of Valencia's retweet. The post also shows a video of Valencia assisting a goal for former ​United teammate ​Wayne Rooney, who is currently the captain of the MLS side. Valencia has made just eight appearances for United this season and has not been seen since the 2-0 victory over ​Newcastle United in early January. He has battled a calf injury in recent months, and has lost his place in the starting lineup to the versatile Ashley Young. The Red Devils have the option to automatically extend his deal by a further year, but they are yet to do so, leaving Valencia free to discuss a move abroad. ​Inter have been heavily linked with the Ecuadorian, whilst a switch to MLS has also been suggested. Diogo Dalot has enjoyed an impressive debut season in the ​Premier League and is viewed by many as the natural long-term replacement for Valencia. However, United have also been linked with ​Crystal Palace wonderkid Aaron Wan-Bissaka, as they look to add some more youth to their defence. Since joining the club from ​Wigan Athletic in 2009, Valencia has made 338 appearances in all competitions, racking up 25 goals and 62 assists, largely thanks to his five years spent as a winger. He lifted the Premier League title in both 2011 and 2013, and has also achieved glory in both the FA Cup and Europa League in the last three years.